INTERVIEW: FashNerd.com caught up with CEO of LOOMIA Janett Liriano, to talk about the LOOMIA Electronic Layer, LOOMIA TILE and Blockchain's role in their latest endeavours. For those unfamiliar with LOOMIA, it is a New York-based smart materials company that creates innovation in smart products and related data services. Their mission is to bring comfort, safety, and confidence to the human experience. During our conversation, Janett explained how they are creating a bridge between digital intelligence and the physical materials that we interact with every day via LOOMIA Electronic Layer, LOOMIA Tile, and LOOMIA Data Exchange. This led to my favourite topic blockchain. The CEO explained that their use of the blockchain would bring it to a more mainstream user base. Through LOOMIA TILE individuals, not corporations, would be able to not only own their data but also decide what happens to it. Tell us about LOOMIA TILE? 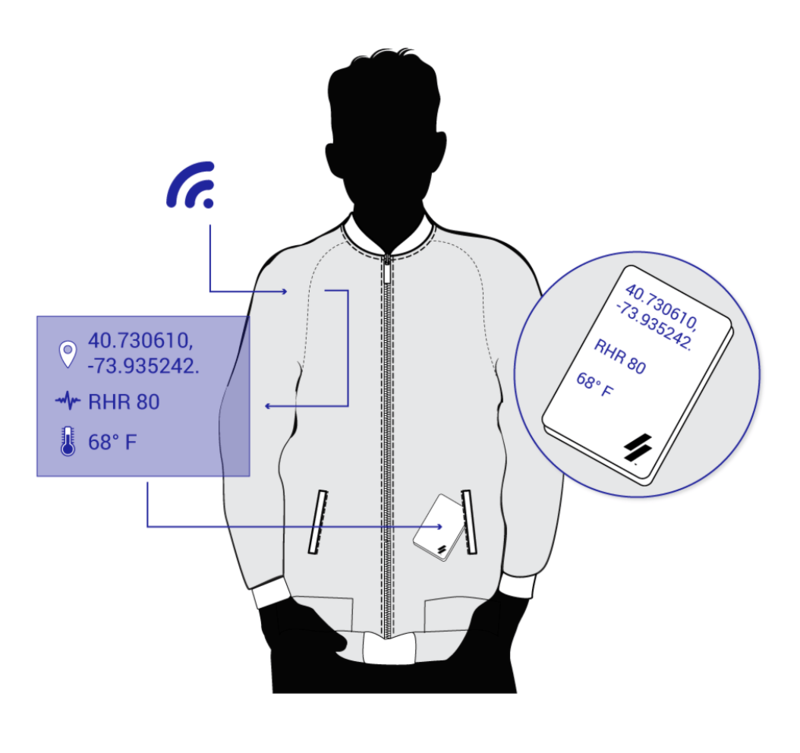 The LOOMIA TILE is a hardware device that works in conjunction with the LEL to transform clothes into data-collecting and identity tools. 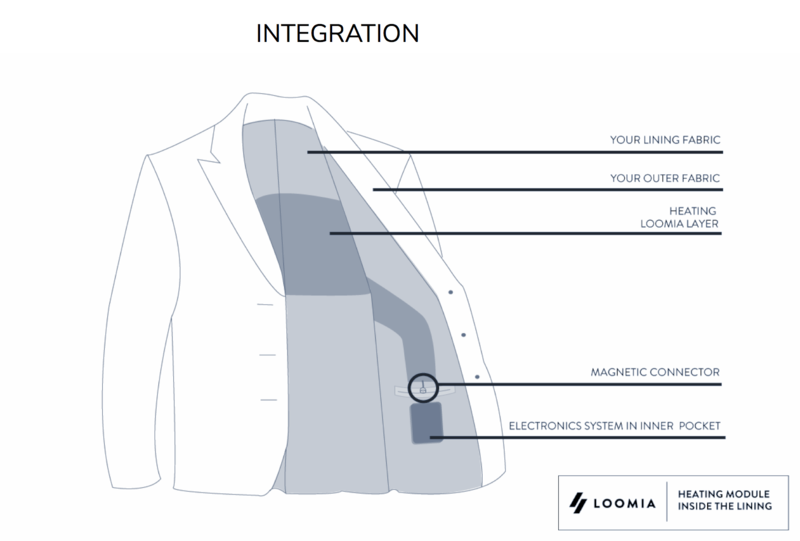 With LOOMIA’s ability to attach or pattern a variety of sensors into a good, products could have the ability to track use, performance, and patterns that could lead to a meaningful product planning and direct marketing choices for brands. Brands will be able to set up tailored reward plans based on TILE tokens to incentivize their consumer to buy and wear their products. Can you tell us about LOOMIA Electronic Layer? The LOOMIA Electronic Layer (LEL) is a soft, flexible circuit that can be embedded into textiles, that moves like a piece of fabric, but acts like a circuit board. LEL’s can perform functions such as heating, provide lighting, and sense/transfer data. The thin layer of circuitry can be bonded to everyday objects such as clothing, car interiors, handbags, and office furnishing to bring functionality to everyday objects by collecting data from consumer habits, including frequency of wear, location, level of activity, and temperature. Market researchers and industry shifts increasingly support the concept that Data is not only the new oil, it is also the new currency. Beyond that, we see an exciting opportunity to solve fashion’s 100B dollar problem around inventory and product rollouts through providing dynamic data that can inform the next product cycle. As brands try to stay in front of the pack predicting trends, LOOMIA Tile can give accurate product data that brands can use to perfect their strategy. From end to end, LOOMIA’s LEL can provide individual ID’s per garment, which could be dynamically tracked from make to the point of sale, and after it reaches the customer’s hands, continue to understand product use, performance, closing the loop on what is now a large gap in knowledge from a user feedback standpoint.. An added potential use we are excited about is anti-counterfeit benefits LOOMIA TILE could provide both brands and buyers. How can brands benefit from LOOMIA TILE? Right now, when a product leaves the store, brands and manufacturers have no real way of understanding how that product performs in the real world, what the user experience or interaction is. But brands want to understand their customers, which is why they spend millions and millions of dollars through disjointed channels such as surveys, focus groups, reviews, and even prowling social media for insights. With LOOMIA Tile brands get comprehensive reports that aggregate data from all users that match its request to make informed decisions on new products, sale promotions, inventory levels and more. Tell us a bit more about LOOMIA Data Exchange. LOOMIA’s Data Exchange is being designed to operate concurrently in an ecosystem that allows users to collect data and sell it to brands and consumer research firms. Simply put, when a brand requests some specific type of data, it flows through the network reaching all users with the amount it will be paid on fulfilling the request. Each user’s app will reply with the data if it meets the user’s threshold requirements. In exchange for their data, users get TILE Tokens deposited into their wallet in the TILE application. Another way to think of it is matching buyers with sellers. Let’s say a Brand wants all weather data and use on leather jackets from the northeast for a specific amount of TILE tokens. Any user who has agreed to sell that data for that garment at that “price” will have that bid matched, and the exchange of tokens for data happens automatically on both sides. What do consumers stand to gain? On the user side, there is a strong drive building to control access and derive value from your data. Consumers are smart, and increasingly want transparency and control over their information. This creates a meaningful marketplace of peer to peer exchange that improves products, incentivizes using data for currency that can then be used for future product purchases or unique experiences brands design. Incentives are TILE tokens for the data they choose to sell. These may be convertible into other digital currencies or used across brands on the LOOMIA Platform. It’s a nice closed loop! Can you explain the role of Blockchain Technology? Innovation creates margin. To differentiate in the tech market, you need to offer the customer something that adds value to their life. So why blockchain? Because personal data is personal, and the transparency and security provided by elegant blockchain applications would ensure the security and authenticity both brands and users need. LOOMIA doesn’t need or want to silo user data and be the middleman between that exchange, and blockchain allows for seamless and secure peer to peer transactions. If we weren’t using blockchain, we would need to have a host of LOOMIA servers where users would send their data for safekeeping, and we would then be responsible for selling that data to inquiring brands. While that could make us a pretty penny, we are starting to see the real risks and concerns around any one group holding large amounts of data. The app is serverless and leverages the blockchain for security and data integrity. Also, there are substantial opportunities for supply chain and product tracking + anti-counterfeiting that would also leverage the benefits of the blockchain for the markets we serve. When it comes to security, what role does it play? We do not hold all the data in one place because it makes it pretty vulnerable. Our process would allow the user to log onto the tile system and decide what they sell and who receives it. In effect, the blockchain enables for direct trade and cuts out the middleman. This is a simple explanation of course, and the technical goodies can be found in our whitepaper. The thing to understand is- We are not big brother listening to your shirt. LOOMIA Tile, by design and on principle stands against that. While our materials can collect data, it is not continually syncing to some server, but instead is stored locally to the small hardware device that attaches to LOOMIA enabled garments. The customer retains total control of when and what to share, whenever they connect their TILE to the platform via phone app or desktop connection. Blockchain allows for individuals to have “keys” or identities on the chain that can send and receive goods, but keep the privacy of each user secure. There is no attachment to your email or your credit card. When you create your TILE profile, there is no obligation to tie it to sensitive identifying information. The only data it will collect is performance data, but you can put more details if you wish. It’s a system that feeds itself. What is the next step for LOOMIA Tile? We are in talks with several brands for a small pilot programme in the next 12-18 months. Beyond routine product development and integration, there will be a fair amount of market research to understand what sort of data is most useful and what incentive structure works best for customers. When we launch this, we want to make sure we do this right because we believe in the adage: Under-promise, over-deliver. LOOMIA TILE Tokens are currently being pre-sold to US accredited investors, and happy to say that’s moving along well. When TILE goes live, it will most likely launch with a controlled group and an initial limited run, to allow for proper feedback and improvement before a bigger market play shortly after. How safe is the technology? The LOOMIA LEL is ROHS compliant, primarily made in the USA and is safe for skin, and nontoxic. Naturally, it conducts, because it has certain metals, like silver, which is commonly used for medical purposes. You are in no more danger from a materials standpoint than the metal on your zipper. We take the extra step to add specialized insulation on the layer that adds, even more, user safety. 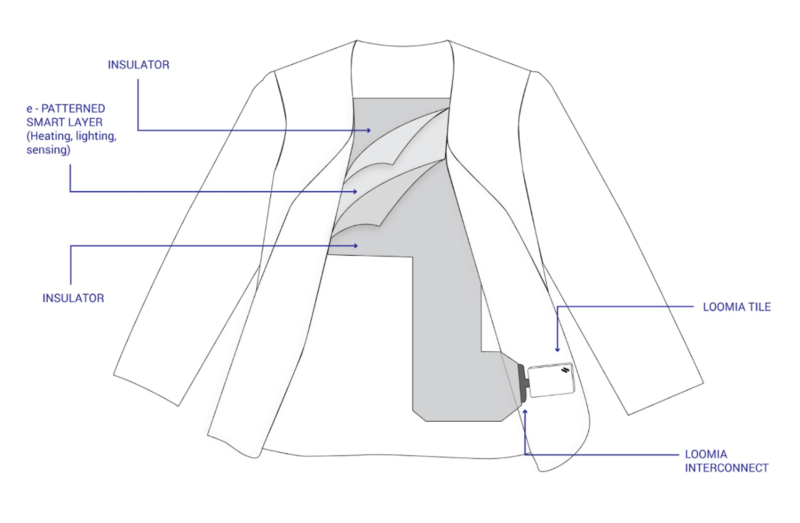 Our LEL is a removable layer, insulated in a way that makes it removable when a garment reaches the end of its use. As we grow, we intend to work with brands to establish a recycling process, which is something we will determine over the time. We aim to build a structure that is sustainable.